New Week, New Covers!! And back to the original format with info. No idea who the artist on the cover is but it is quite amazing. The content of all 4 stories in this book are intense to say the least. Hanging, Torture, Stoning, Burning at the stake, disfigurement due to a car accident… Everything one wants from a Pre Code Horror comic. Couple WRECKED copies online. 3 copies on the CGC Census, all are Universal. An 8.0 a 7.0 and a 1.8… This does not speak too much to the rarity of this book as I think a lot of random PCH book like this go unslabbed. 26 Universal copies on the Census with an average grade of 6.05. 1 9.4 at the top (Church copy?) with 3 9.0s next in line. The bottom of the chart is rounded out by a single 1.0 and 2 2.5 examples. 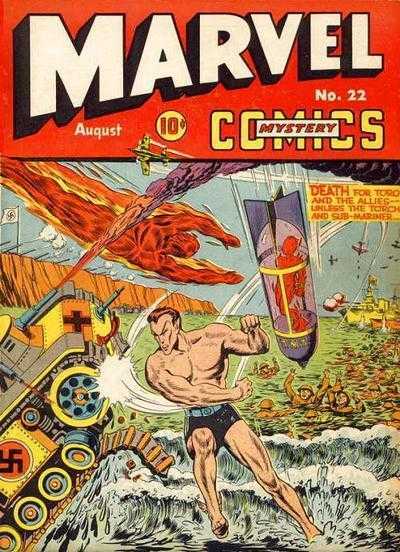 Boy I wish modern comics had the the bold red’s and yellows of some of classic Golden Age covers. 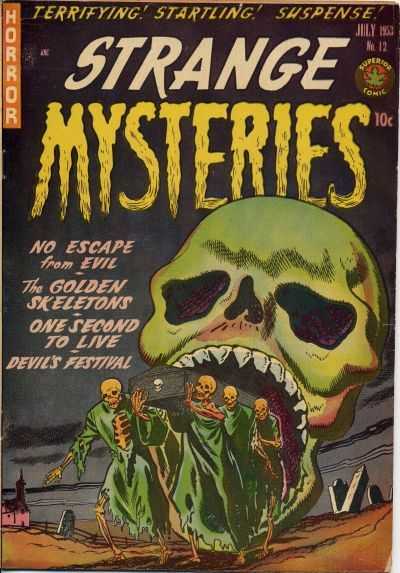 That Strange Mysteries cover is pretty sweet! Thanks for sharing!